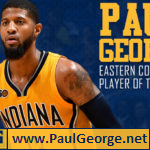 Despite a huge performance from Paul George – 32 points, 11 rebounds and six assists – the Indiana Pacers fell 101-97 Sunday to the Cleveland Cavaliers. 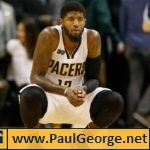 After dropping a close one to the Cleveland Cavaliers on Sunday, Indiana Pacers star Paul George said that he and his teammates aren’t afraid of the 6-1 Cavs. Despite the confident assertion, the Cavs were without Kyrie Irving, Iman Shumpert and J.R. Smith. Still, George — who scored a game-high 32 points — wasn’t too concerned about that, especially because the Pacers were without Rodney Stuckey and C.J. Miles themselves. George‘s adversary, LeBron James, scored 29 points and led the Cavs to their sixth straight win. 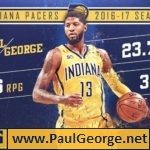 Though George and James were rivals when James’ Miami Heat battled George’s Pacers in two consecutive Eastern Conference Finals, the two have maintained a friendship since those battles.